With the advancement in mobile technology in recent years gamers can now get their fix via their smartphones or tablet PCs. Since Apple first introduced the iPad we have seen more powerful devices being released, with specifications that were only seen on desk top PCs a few years ago. Today we have news of the Horn Android RPG game that works best on Tegra devices. According to the Android Authority this third person action adventure has an RPG feel to it, and combines plenty of combat with exploration and puzzles. 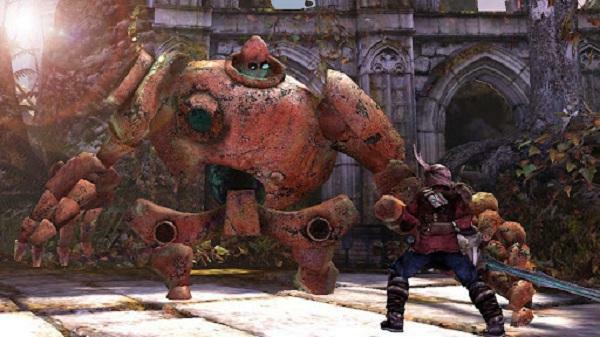 The game features a character called Horn who is a blacksmith’s apprentice, and his village has been hit by a curse that has transformed the animals and people into strange mechanical monsters. A series of successful quests is all that can save them, and it was found that the games productions values are high, with some good voiceover acting coupled with a compelling plot. The all important combat was also found to be engaging with the touchscreen controls working well, but the puzzle part of the game was found to be fairly basic. Character design is also of a good quality and you will find the environments inviting and fun to explore, and there is even an orchestral score. This console type action game is a premium Android application that is running on the Unreal Engine 3 and costs Â£5.07/$6.99. As it is a Zynga release users are given in-app purchase options where you can purchase additional gear or skins, and none of the content is cheap either. There have been a large number of Android users complaining about the game being buggy and unstable, and the game seems too often crash or freezes, especially on older hardware. Hopefully these issues will quickly be fixed in a future update, and to find out more or to download the game head over to Google Play.